Kwasi Kyei Darkwah popularly known as the Master Communicator is the Chief Executive Officer of The Finest Productions, a Media and Branding Consultancy that turns corporate initiatives into public communication and marketing campaigns, and the founder of The Kyei Darkwah Foundation, a Charity for mentorship and training in Media, Arts & Culture, Etiquette and Public Communication. 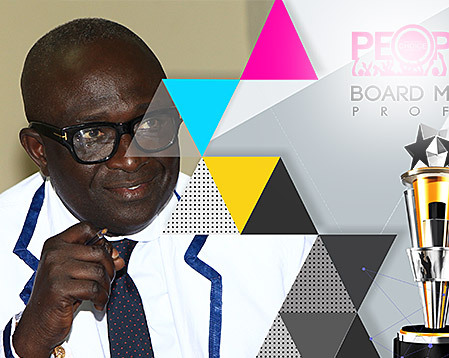 KKD The Finest, as he is called by legions of fans, is an inspirational television personality and show host of Ghanaian heritage; a multiple award-winning broadcaster, culture, media & brand communications expert who brings his cosmopolitan flair, management experience and attention to detail to bear on television, marketing, events and tourist-targeted programmes. His honours include Our Living Legend Award 2013; Lifetime Achievement Award 2013 for his immense contribution to Broadcasting & Entertainment in his motherland Ghana; the Tema Excellence Award 2012 for his work in Media, Arts and Culture Promotion; the GUBA (Ghana UK-based Achievement) Award 2012 for his contribution to Media, Brand Management and Entertainment, and First Prize Winner of the Africa Disc Jockey Championship 1990. Darkwah has been at the forefront of television and live show management, production and presenting, brand management, and promotion of the Arts, culture and tourism for over 2 decades. Positions he has held include Director of Public Affairs and Communications at the Ghana Investment Promotion Centre, the agency mandated to attract and retain investments in Ghana; Director of Programmes & Marketing at Sunshine Radio 102.3 FM where he designed their blueprint for programming, branding, sales and marketing; General Manager of record company Megastar Ltd where he managed the careers of musicians including Abrante3 Amakye Dede, George Darko, Nana Tufour, Tagoe Sisters and Megastar Band; Account Manager at Gissings Consultancy Services in London’s square mile where he managed corporate medical and risk insurance for banks and law firms, and Advertising & Promotions Manager at ABC Brewery Ltd where he helped increase market share by 20% in his first year over. He leads a bright and passionate team at The Finest Productions to write, produce and deliver corporate and entertainment events, broadcast content and marketing and public relations. KKD The Finest holds a Master of Arts Degree in Audio-Visual Production (Film & Television) from London Metropolitan University, Certificates in Marketing Management from Ghana Institute of Management and Public Administration, Production and Cost Management from the Association of Overseas Technical Scholarship of Japan, Delivering Learning to Adults from Westminster Adult Education Service London and Diploma in Journalism from Ghana Institute of Journalism. Darkwah was appointed Ambassador for Her Majesty’s Revenue and Customs’ (HMRC) campaign against illegal food imports into Europe from Africa in 2008 and serves as adjudicator, International Acts on the BET Awards. KKD The Finest proudly promotes Ghana and all that is good about it to attract tourists, investment and custom into its growing economy.